Nika Cohen is a third year student at Columbia Law School. Since June 2017, she has assisted Professor Bernard Harcourt, counsel for Doyle Hamm, on the case. For updates and more information on Doyle Hamm’s case, click here. 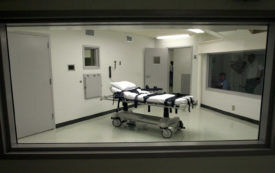 He was the first person in the history of Alabama’s use of lethal injection to walk out of the execution chamber alive.